Amazon and Google are upping their street cred with audiophiles, with the companies offering Tidal high resolution music streaming through their respective Amazon Fire TV and Android Auto platforms. The new app, which still offers Tidal's signature lossless audio, is the perfect fit for the devices, as soundbars and in-car speakers tend to be the best audio output devices for many households. 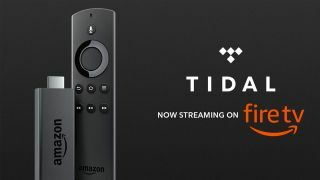 Tidal for Amazon Fire TV has also been tailored to fit the big screen format rather than its mobile standard, with a library of high quality recordings that should complement Amazon's own Prime Music offering. Barring the exclusion of video content for the in-car version for obvious safety reasons, it's the same Tidal experience that audiophiles have come to love, reworked for new platforms. However, Tidal has continued to struggle in the face of stiff competition. Facing off against the established Spotify and growing threat of Apple Music, some controversial press surrounding the service and the higher monthly subscription to access the higher quality recordings has left its library of 50 million tracks less heard than its founder Jay-Z would have liked.